The seven match series between Australia and India is currently level at two games a piece. The victor will wonder at what cost the win will come as both are already licking their wounds. For Australia, Callum Ferguson, Brett Lee, James Hopes, Tim Paine and Peter Siddle have already left the squad. In their place has come Clint McKay, Moises Henriques, Graham Manou and Doug Bollinger. For India, Gautam Gambhir and Virender Sehwag have both picked up injuries. Gambhir was hit by Ricky Ponting while fielding. Sehwag felt the full force of a Siddle yorker while batting. That’s cricket, injuries happen but should they happen when there is nothing to gain? Some of the Australian players have been away since February. The tour of South Africa was followed by the IPL which was followed by the Twenty 20 World Cup. Then came the Ashes and the Twenty20 Champions League. Still to come in the Australian domestic summer. What the players need at this time is a break and not further cricket. This especially at a time when 50 over a side cricket is being questioned like never before. People are wondering if there is any place in the game for it? So while that is being answered, is a seven match series the way to go? 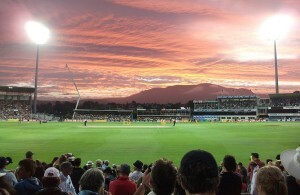 Australia recently played a seven match one day series against England. Does anyone besides cricket betting remember what happened? Australia won 6-1. Does anyone care? The typical answer to both of those questions is no. This highlights another flaw in the scheduling. Australia, England and India are playing a lot of cricket but only with each other. Countries such as Pakistan, Sri Lanka and New Zealand are relegated to playing against the minnows. Australia will be hosting Pakistan and West Indies this summer. In both instances there will be three Test matches and five 50 over matches. Following this Australia will head out to New Zealand where it will have two Test matches and four 50 over matches. After this it goes to England to play Pakistan in two Test matches but while there will play five 50 over matches against England as well as two Twenty20 games. What could be the reason for the five one day games? The scheduling is a problem that isn’t going to go away and the proliferation of Twenty20 cricket is only going to make it a trickier proposition. David Wiseman writes about cricket. When he isn’t doing that he is busy with harness betting.